Heibe is the romantic pairing of Heidi Turner and Bebe Stevens. Heidi and Bebe are shown to be close friends. Bebe is invited to Heidi's slumber party in "Marjorine" and the two are occasionally seen hanging together in the background. In "Skank Hunt", after Heidi quits Twitter due to Skankhunt42's online trolling, the school holds a "funeral" for her and Bebe seems to be the most devastated over her social media deactivation, as she is seen crying out loud in the hallway and during the "funeral" after hearing the misfortunate news. There are very few fanfictions that include this pairing. 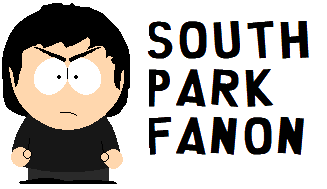 South Park Fanon Wikia is a FANDOM TV Community.